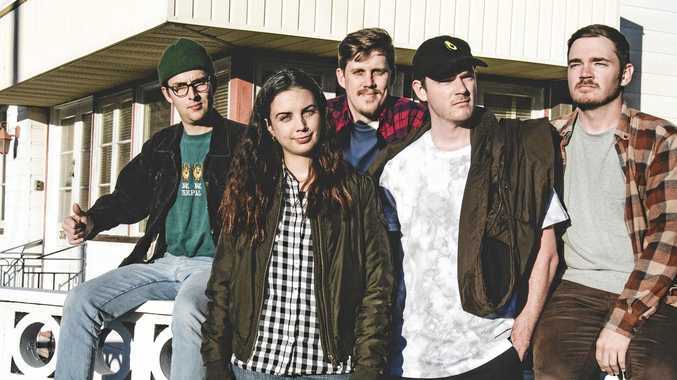 Ball Park Music is a five-piece indie rock/pop band made up of frontman Sam Cromack, Jennifer Boyce, Paul Furness, and twins Dean Hanson and Daniel Hanson. 2018 was a tremendous year for indie pop band Ball Park Music, a Brisbane-based band with deep local roots. Their fifth record Good Mood debuted at #6 on the ARIA chart and received ARIA Award nominations for Best Cover Art, Best Producer and Best Engineer. Triple j listeners voted the record their #1 album of 2018 in triple j's album poll. The single Exactly How You Are landed at #18 on triple j's Hottest 100 of 2017 and The Perfect Life Does Not Exist came in at #39 on Hottest 100 of 2018. 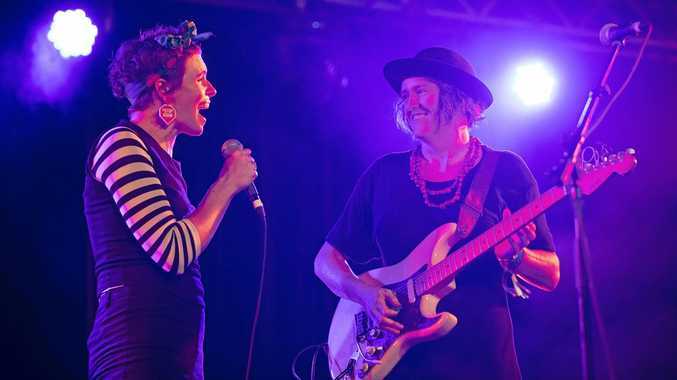 Ball Pak Music's connection with the Northern Rivers are deep, with frontman Sam Cromack being a Lennox Head-raised man, and twin brothers Dean and Daniel Hanson coming from Goonellabah. "In the Northern Rivers everyone spends time everywhere so the twins used to spend time in Lennox, Byron and Ballina, and I did the same thing," he said. "It's a tight little community." Cromack said this will be their last tour at the back of the release of Good Mood. "It came out in February last year and we did two metro tours, as well as a bunch of festival touring last year, so we thought we'd finish it off with a nice big regional run," he said. The musician said the reception critics and fans gave to Good Mood was beyond his expectations. "It was a bit of an exercise on confidence," he said. "We really saw how the attitude that we took into creating the record ended up counting for something when the record was out there. "It was our fifth album. Historically, not a time when you do make much of an impact, but it went so well for us! "I was checking our Spotify not so long ago, and they list artists' popular releases and I was so happy to see Good Mood at the top of the list." Cromack said this will weigh in the band's minds when they start making new music. "We've never had any firm structure about what's happening," he said. "I guess the writing has always been trickling along in the background. "I've never been the kind of writer who books a particular place and tries to write. "I can't turn it on an off like a tap, it's more of a waiting game, constantly doodling on the guitar or piano every single day with no real pressure and then, eventually, songs grow or suddenly, a burst of emotion will make me write a song about something or some musical idea will pop in my head." Cromack was listed for APRA Song of the Year for Exactly As You Are, and the musician said. "That song came about pretty quickly," he said. "I visited some friends, a couple of mates who are also musicians, we had been drinking and talking about relationships. "There was a guy there, he was in a new relationship and he said it was nice to be with someone who liked him exactly the way he was. "It was a very simple sentiment but it really stuck with me and that night I did a small recording on my phone, I still have it. "The chorus and the melody came straight out of my mind. It was one of those magical little songs that just write themselves." At the Beach Hotel in Byron Bay on Friday, May 24, from 8pm.